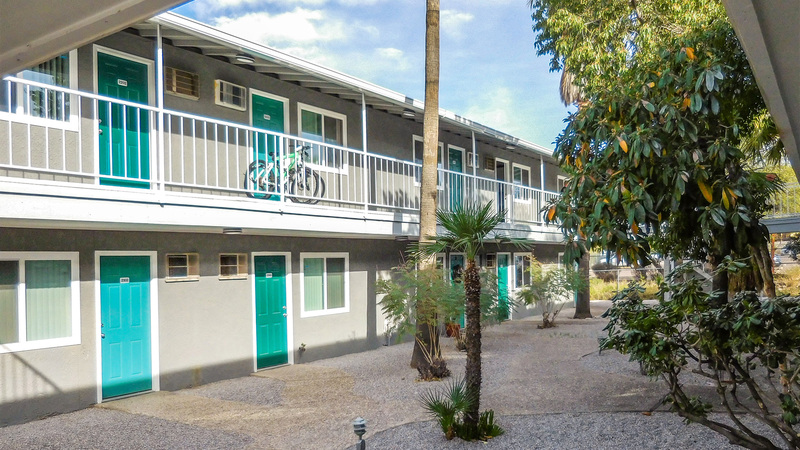 ABI Multifamily, the Western US's leading multifamily brokerage and advisory services firm, is pleased to announce the $2,100,000 / $42,857 Per Unit sale of the 49-Unit Eastpointe Apartments in Tucson, AZ. The property is a garden style apartment community originally built in 1981 of frame/stucco construction and sits on 1.33-acres of land near the intersection of South Camino Seco and East Broadway Blvd. Eastpointe has three, 2-story buildings with 48 – 1 bedroom units and 1 - 2-bedroom unit with a weighted average size of 433 square feet. The property, which recently underwent select renovations, is a gated community and features a community swimming pool, BBQ grill area and laundry facility. "The Buyer was in search of a stable asset with upside potential," states Lance Parsons, Senior Vice President at ABI, who co-represented the Seller with Ryan Kippes, Vice President at ABI. "This pride of ownership, rehabbed property is located approximately 20 minutes from both Downtown/U of A and Saguaro National Park." The Buyer in this transaction is a private individual based in Portland. The Seller in this transaction is a private individual based in Washington. The ABI Multifamily brokerage team of Lance Parsons, Ryan Kippes and Jonathan Ibrahim represented the Seller in this transaction.